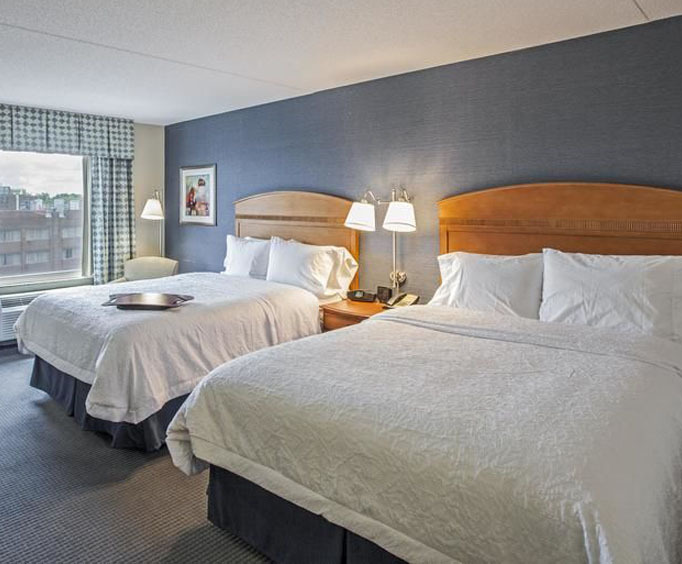 Conveniently located by the LaGuardia Airport, the Hampton Inn offers an entertaining stay in Elmhurst, New York. Here you have a wonderful array of amenities and features, such as a fitness center, whirlpool and sauna, an indoor pool, hot continental breakfast, laundry services, valet services, an on-site convenience store, gift shop and lounge. A short drive away from the Hampton Inn takes you to many popular landmarks, including the Empire State Building, Central Park's Strawberry Fields, CitiField, Macy's and much more. 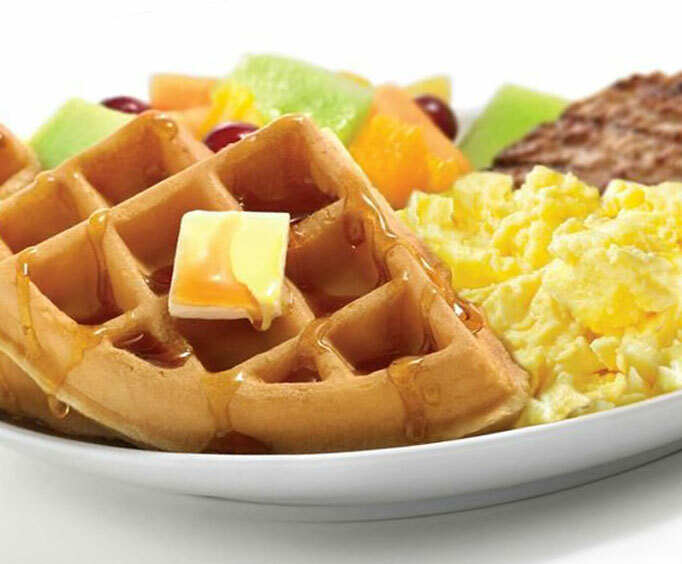 Start your morning at the Hampton Inn New York right with the complimentary hot continental breakfast. 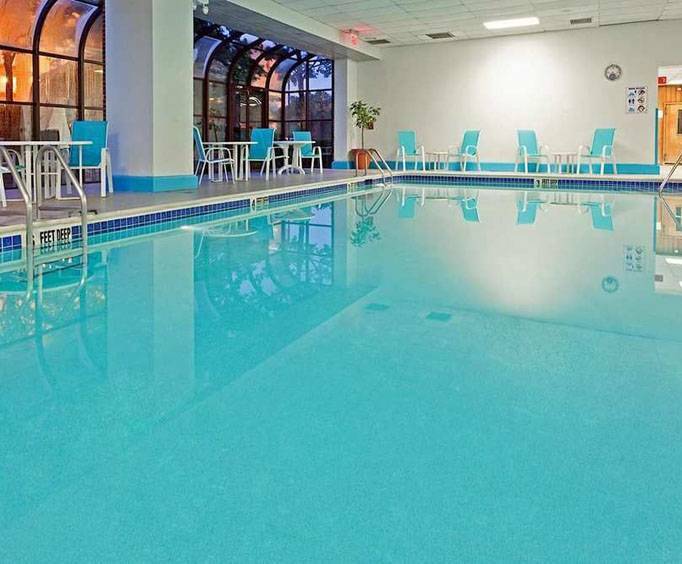 From there, enjoy the fact that you are in one of the only hotels in New York with its own heated indoor pool. Swim some laps and relax in the hot tub, or just breathe a while in the sauna. When you feel like moving on, stop by the state-of-the-art fitness center for a quick workout or head outside and get on with your day. In town for business? Every room at the Hampton Inn comes stocked with a coffee maker, iron, and a television with basic cable. Each room also contains a phone which can be used to make unlimited local calls, and complimentary high speed Internet access as well. The Hampton Inn is conveniently located 2.3 miles from the Queens Place Mall where, if you don't feel like shopping, you can pop in to the Godiva Chocolatier to treat yourself to something sweet. Then end the night back in the comfort of your Hampton Inn hotel room.